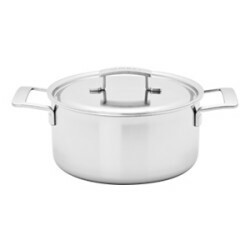 Stainless steel cookware from Demeyere makes the difference. 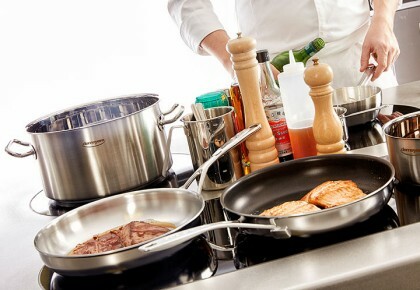 This is because Demeyere adapts the technology of the cookware to suit different cooking methods. A frying pan needs to do a different job to that of a stock pot, a conical sauté pan must achieve a different result to that of a saucepan. So each type of pan is designed for its specific cooking function. Excellent design helps bring professional chefs and ambitious home cooks excellent results. 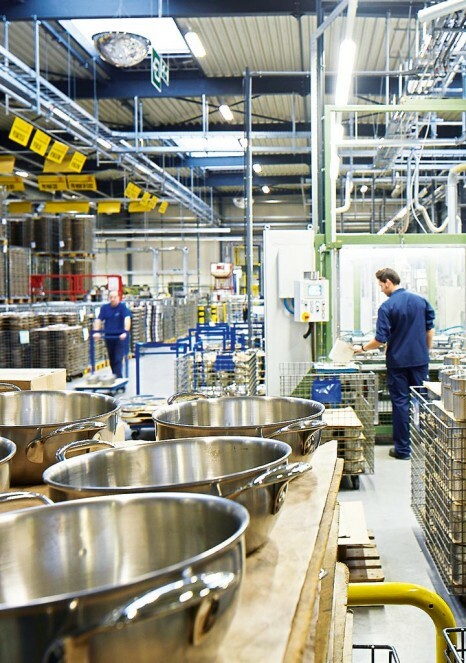 Since its founding in 1908, Demeyere has evolved from a Belgian family business into a global benchmark in induction specialised stainless steel cookware. For over 100 years, we have been working on excellence, sustainability and innovation. 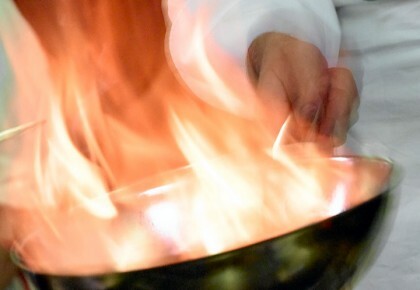 With Demeyere you will enjoy the highest cooking performance. Demeyere continues to invest, not only in their factory in Herentals, but also in quality people and know-how. 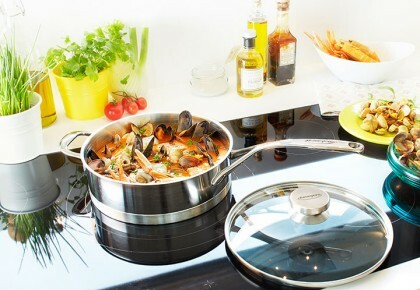 World innovations such as the superconducting InductoSeal® base, the revolutionary Silvinox® surface treatment, and a unique welding technology have made Demeyere Number One in stainless steel cookware and a benchmark for induction cooking. 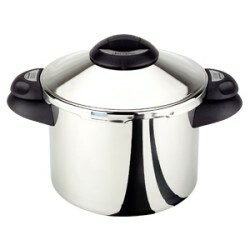 The result is user-friendly, energy-saving and high-performance cookware. 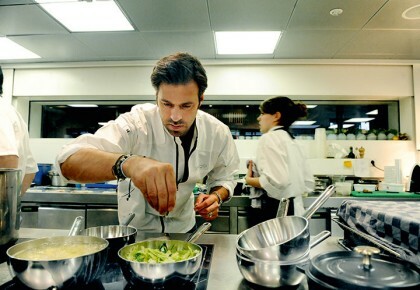 All Demeyere products are developed to comply with and complement the needs of the modern, professional cook. That is why many professional chefs all over the world prefer to use Demeyere. 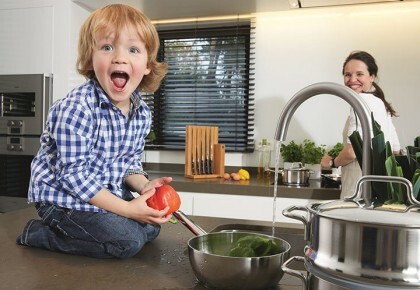 Demeyere offers security, efficiency, durability and above all, unparalled cooking performance. In addition to the quality of the ingredients and the craftsmanship of the chef, the quality of the cookware is also of essential importance. The materials and technologies used by Demeyere when developing its ranges of cooking equipment are specifically designed to help the chef achieve the best possible results. 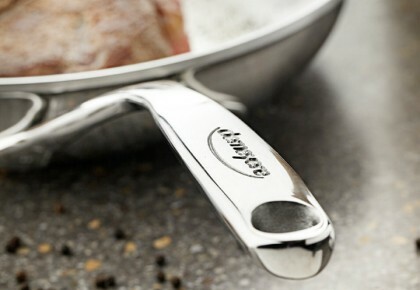 The Demeyere cookware is carefully crafted in the finest stainless steel. The architecture of the pots and pans and the special technologies provide an additional savings in energy and time. The special welding technology secures the handles firmly and ensures optimum hygiene as dirt, grease and germs have no chance to build-up. The Silvinox treatment, applied in a number of series, simplifies the cleaning of your cookware considerably. Demeyere uses quality materials and the most advanced technologies to ensure durability. The quality of every product is continuously monitored throughout the production process. Demeyere stand by this quality in the form of the Demeyere warranty, which is typically 30 years for domestic use and 10 years for professional use, depending on the series. Demeyere attaches great importance to the design of its products, working with renowned national and international designers. 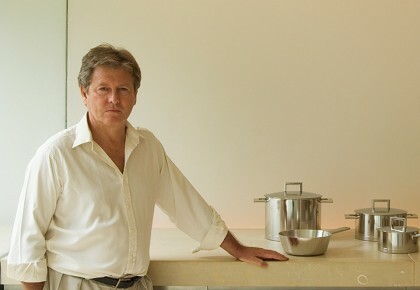 Demeyere has collaborated with John Pawson, Stefan Schöning and Nedda El-Asmar. 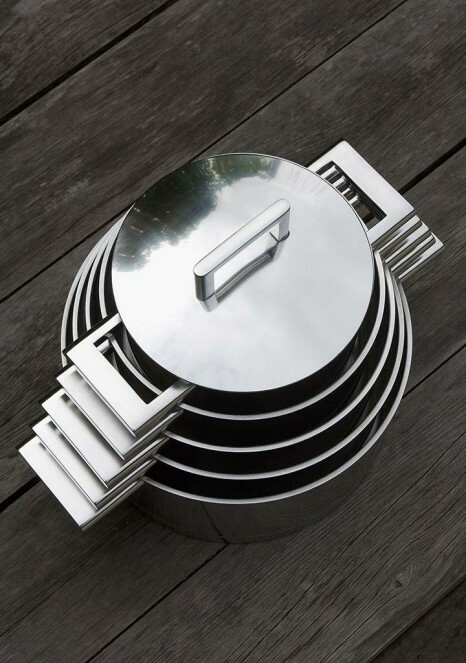 The result: beautiful, stylish and ergonomically pleasing cookware. As early as the 1970s, Demeyere were pioneers in induction cookware, developing specific materials for use on induction. Thanks to Demeyere technologies like ControlInduc and TriplInduc, cooking on induction with Demeyere cookware is even faster, even safer, even more easily regulated and even more efficient. In 1999, Demeyere received the title "Belgian Royal Warrant Holder"
All Demeyere cookware series are manufactured and produced to meet your discerning quality requirements - very functional, efficient and durable. 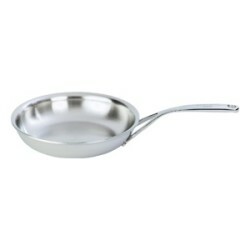 Demeyere offers a comprehensive range of stainless steel frying pans, with or without non-stick coating, heavy or light, and in a variety of designs. In addition to all the traditional products, the Demeyere range also includes a very large number of specialities - all developed for optimal results.